All Ages Show. 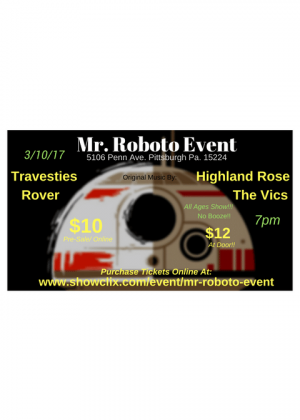 Come and checkout live entertainment by, The Vics, Highland Rose, Travesties, and Rover. Share our event and we will see you there. Thanks for your support.